Pythons reproduce by a female laying eggs and the male fertilizing them. The eggs take 2 to 4 months to hatch, at which point the babies are left to fend for themselves. Pythons come in all shapes and sizes. When most snakes reproduce the female leaves the eggs until they hatch. However, some pythons stay with their clutch until they are born. When a Burmese python is incubating with its clutch it will not eat for months. Once hatched, it takes the new snakes roughly 5 years until they reach sexual maturity. 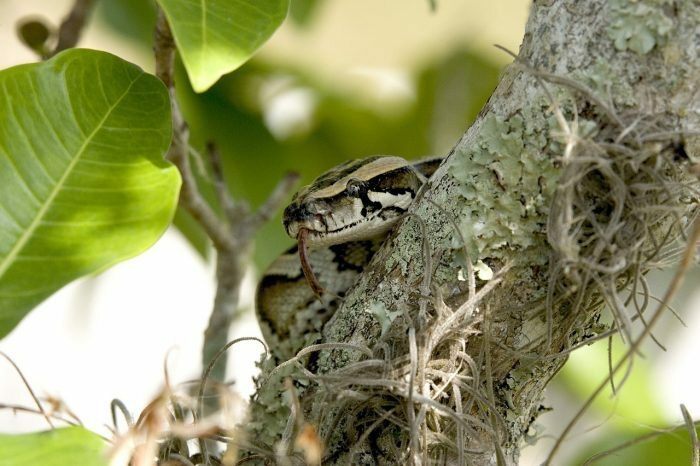 If undisturbed, these snakes can live to be more than 30 years old in the wild.